The police union blasted the conviction. On Friday, we saw something that rarely happens. A police officer was found guilty of second degree murder for killing a Black teenager. 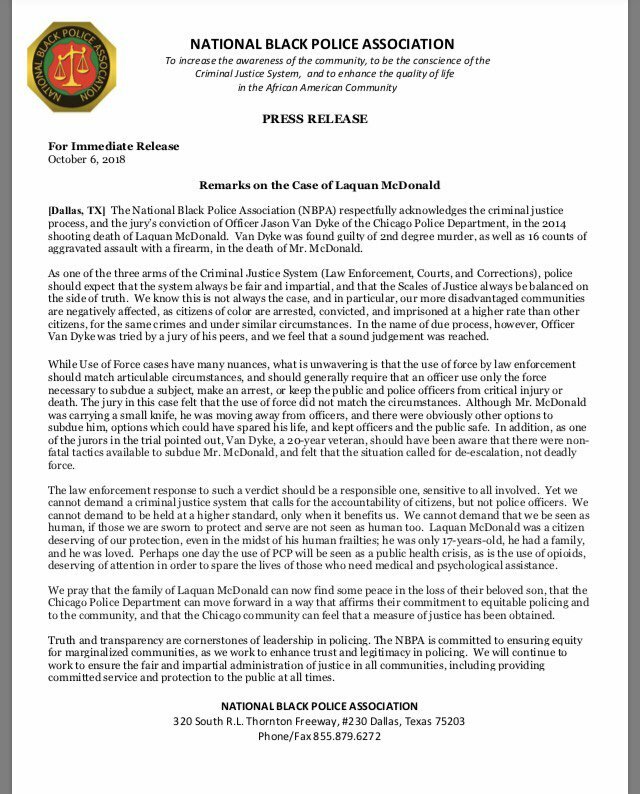 However, and this shouldn’t be a shocker, the police union and the National Black Police Association see the conviction differently. Jason Van Dyke killed 17-year-old Laquan McDonald on October 20, 2014 in Chicago, Illinois. He was found guilty of second degree murder and 16 different counts of aggravated battery (one for each bullet). How sad that police union’s statement made no mention of the victim.